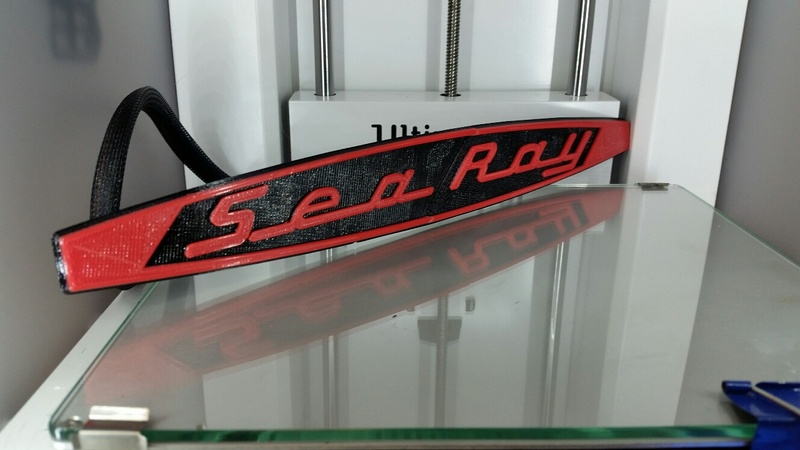 This is a replacement logo for older model Sea Ray boats. The original was black with a chrome top layer. We decided to add some color.